IN THE LATE 1940s, Owen E. Brennan Sr. realized that tourists, a large segment of his restaurant and bar clientele, were seasonally unhappy during Mardi Gras. At that time, Carnival balls were predominately closed to anyone outside of New Orleans’ society circles. So, in 1949, Brennan decided to spend an enormous amount of money and revolutionize Mardi Gras by creating the brand-new Krewe of Bacchus, wide open to tourists. Brennan staged two Bacchus Carnival balls, one in 1949 and the other in 1950, before his death in 1955. Regrettably, he did not live to see his idea develop into a new and lasting form. Early in 1968, Owen “Pip” Brennan Jr., son of the late Brennan, held a meeting at Brennan’s Restaurant. What emerged was a rebirth of his father’s vision of almost 20 years earlier: the Krewe of Bacchus. It was decided that the Krewe of Bacchus would break with Carnival tradition by staging a spectacular Sunday night parade. Its floats would be bigger and more spectacular than anything previously seen in Carnival, including having a national celebrity king lead its parade. 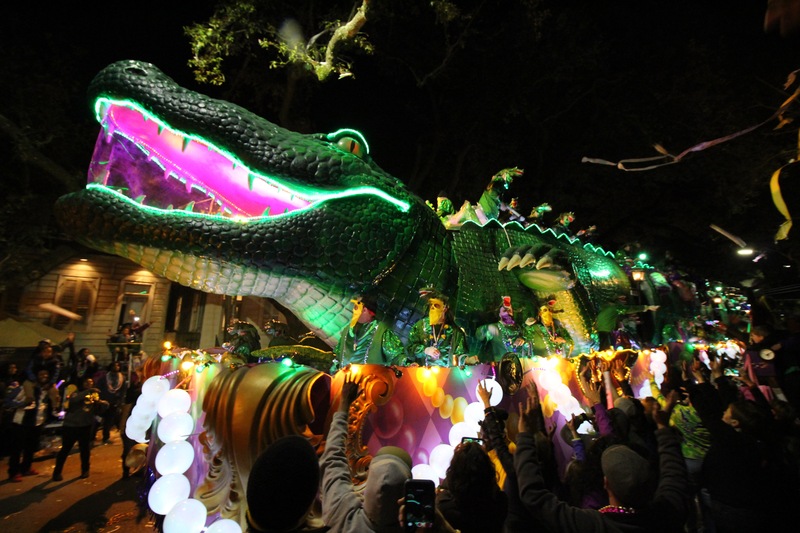 Today, with over 1,400 members and 33 animated super-floats, Bacchus is one of the most spectacular parades of Carnival. We sat down with Bacchus Captain Clark Brennan to talk about the 50th. 1) How does it feel to be celebrating the 50th anniversary of Bacchus? 2) What is your favorite aspect of the organization? 3) What is one of your earliest/favorite memories of the parade? To see the route or learn more, visit kreweofbacchus.org.